"You Have Just Unlocked the Powerful Secret of Starting your Own Wedding Videography Business"
It is a little known fact that WEDDINGS are the #1 growing industry in the WORLD! Every year, billions upon billions of dollars are spent on Weddings. The question I must ask is why are you not getting into this business? There are somewhere around 2.5 million weddings every year in the United States Alone! So... about $40 BILLION is spent on weddings every year in the U.S. Some believe that number is low! The # then rises to be around 80 BILLION!. Today's average couple will spend roughly $18-30 THOUSAND DOLLARS ON THEIR WEDDING! "Start a Business in the Hottest Growing Industry around"
Wedding Videographers are making fortunes. For some, this has become a full-time career. Imagine this, you have 8 Saturday Weddings Booked in the Summer charging a modest $2,500 per Wedding. You Just netted a cool $20,000 For a few Saturdays of Summer Work! BUT THATS NOT ALL! Industry Statistics also say that more and more Weddings are being held outside the Summer Months! 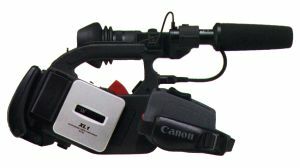 This means that Videographers are in demand year round! Wedding Video Magic offers many bonuses! I started my Wedding Videography Business last summer. I have now quit my job to do this full-time! I have since had to hire two extra videographers! Thanks for everything! I found many resources for being a Videographer but nothing showed me what it would take to actually start the business! My town did not have a videographer. I now do every Wedding in town! $800 VALUE for only $49.00 $29.97! The easy to Understand eBook on Starting A Wedding Videography Business. 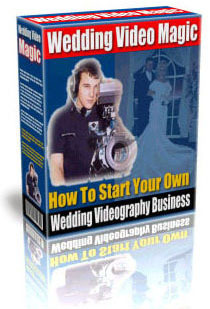 We are so sure that with our new guide you can start and operate a successfull Wedding Videography Business. *Note: This comes in PDF format so it can be read on any computer with Adobe Acrobat Reader (free from Adobe) If you need a copy of Acrobat Reader you can get it here www.Adobe.com.